This is The Aces. This is their new single ‘Physical’. And this is our first coverage of them. That perhaps comes as no surprise, given the ladies will only release their debut EP towards the end of June. But if this single is any indication, it’s going to be one to look out for. The Aces are sister Cristal and Alisa Ramirez, Katie Henderson and McKenna Petty. 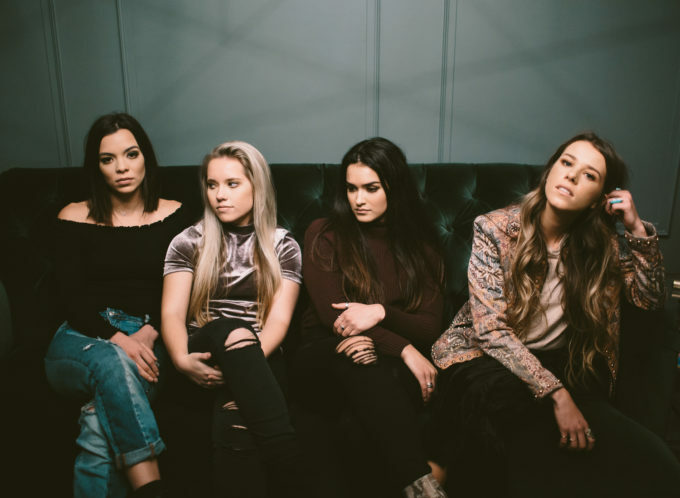 They hail from Utah in the United States, they’re signed to Red Bull Records and ‘Physical’ is a cracking pop gem. There’s a familiarity to the track, which harks back to the great pop era of the late ’80s what with its retro synth lines. Even its music video (below) seems to belong in the ’80s; cool retro colours, neon lights… even pink flamingos. “It’s the music video we have been wanting to make for some time now, the moment we met director Charlotte Rutherford and saw her treatment, we knew she was the perfect fit,” the girls said. Check out the clip below and look for said debut EP ‘I Don’t Like Being Honest’ landing everywhere on Friday June 23.